Many patients at North County Health Services have to travel a long way for specialist care. That's when they can get in to see a specialist at all. So about two years ago, leaders at North County, which operates 13 health centers in northern San Diego County in California, decided to experiment with electronic consults. The technology quickly spread and is now available to all North County providers. The goal is to give patients more efficient access to specialty care and also more appropriate access. The patients themselves aren't the ones communicating with specialists—their primary-care physicians are. 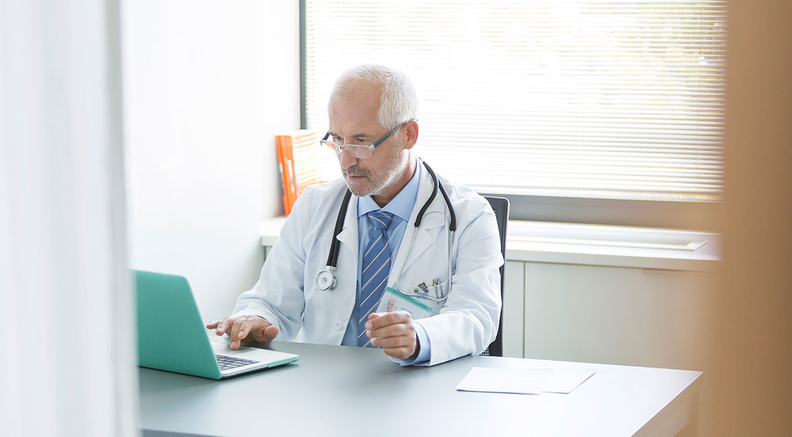 A platform sold by AristaMD gives primary-care physicians a way to collaborate virtually with specialists, who give them feedback within 24 hours on patients' care plans. The approach is more efficient, AristaMD CEO Brooke LeVasseur said. Many referrals from primary-care physicians to specialists are actually unnecessary, she suggested. When referrals are made anyway, that exacerbates the already substantial problem of long waits to get in to see specialists. “It's a really terrible dynamic for patients,” LeVasseur said. Providers who use the AristaMD platform can follow clinical workup checklists to steer their treatment plans. They can also consult with specialists before making referrals, finding out whether such referrals are even necessary. About 70% of consults done on the platform obviate the need for a face-to-face visit with a specialist, according to LeVasseur. Health systems can use either their own specialists, AristaMD's team or a combination. Most of AristaMD's customers are health plans and other organizations that are at-risk for their patient populations. About 90% of the patients covered are in safety-net populations, LeVasseur said. In North County Health Services' case, payers support the platform for a small portion of patients and North County covers the cost for the rest. The e-consult platform is not tied into North County's electronic health record system, which at first made for workflow difficulties. But when North County started using a data extraction service, which pulls data from the EHR and puts it into the e-consult system, workflows got easier. “As soon as we started using the data extraction service, satisfaction went up,” said Dr. Denise Gomez, clinical director of adult medicine at North County. Right now, e-consults are still catching on at the organization. “We're trying to reduce referrals, but it hasn't really done that because we haven't utilized it enough,” Gomez said. Virtual care like that provided via the AristaMD is “on the right trajectory,” said Nilesh Chandra, senior leader in PA Consulting's healthcare business. The trouble is getting paid. “Unless you figure out the financial model, it's very hard to make the economics work,” Chandra said. When the specialists are from AristaMD's team, they're contracted directly with the company, which pays them for conducting e-consults. When a health system uses its own specialists, it might use relative value units for compensating them, or it might simply include e-consults as part of specialists' regular required activities. “The health plans and others assuming risk for patient care are the ones that benefit economically from this more efficient triage,” LeVasseur said.